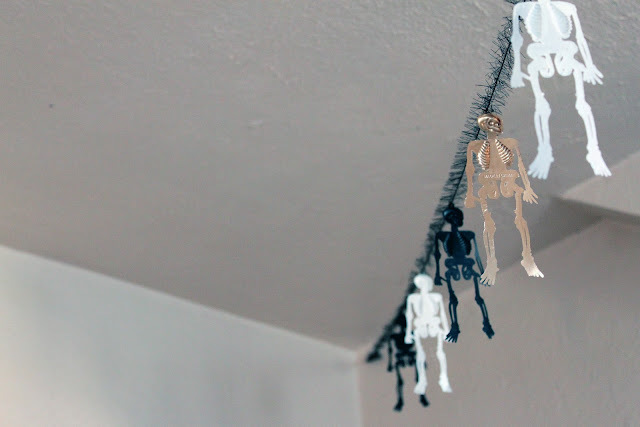 on my honor...: DIY: Skeleton garlands! 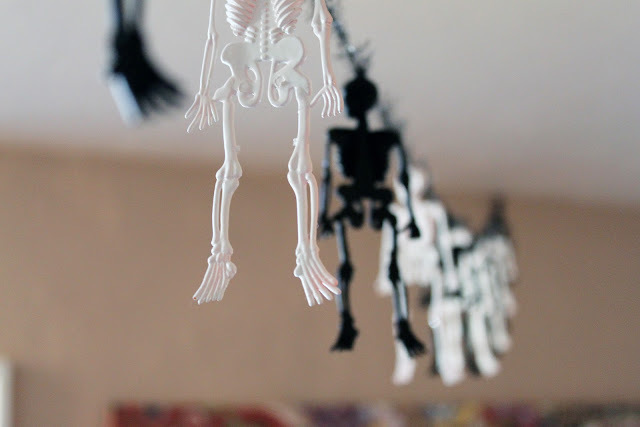 I bought the skeletons in a grab bag from the Dollar Tree. 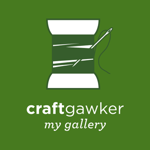 You might remember my gilded bug wreath I posted a couple of days ago. This skeleton garland compliments the wreath nicely, and was created using the same supplies. First things first, go to the Dollar Tree and buy a grab bag of bugs and skeletons. You can pick from purple, green, and orange. 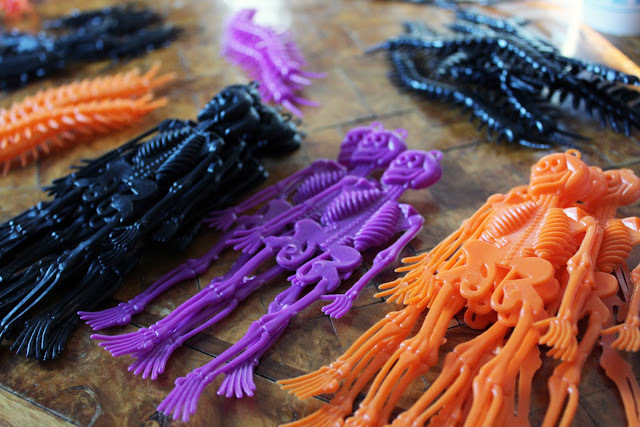 All of the packs are mixed with black colored bugs and skeletons. 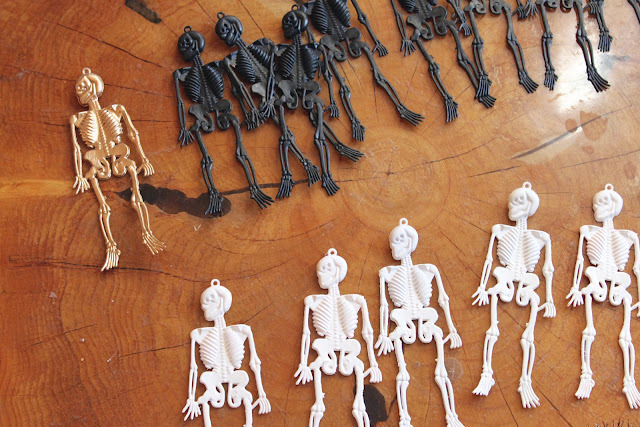 Next, paint (if you want to, you obviously don't have to) the skeletons whatever color you want. I chose to leave the black ones black and paint the orange and purple skeletons white. I used one as an accent and spray painted it gold. The orange and purple skeletons took a couple coats of spray paint to cover. 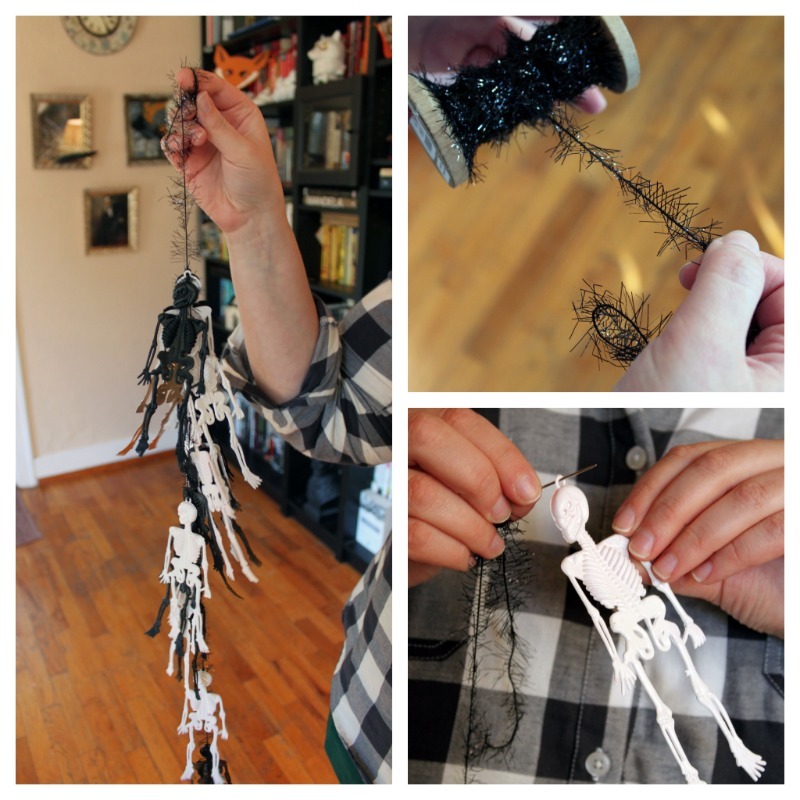 Next, grab some decorative twine or ribbon. I had some glittery black twine that I had for wrapping Christmas presents. It works perfectly for Halloween. Find a needle and thread the twine. 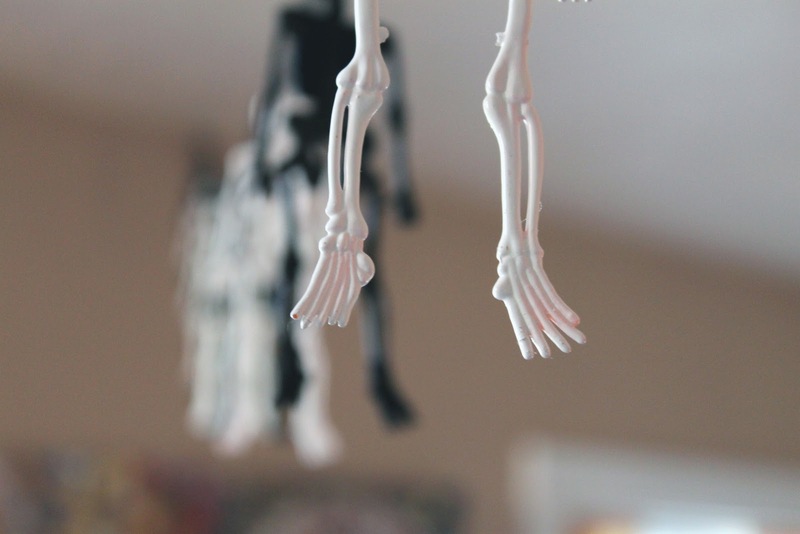 Next, start feeding on the skeletons. Luckily, they have an eyelet on the top of the skull. How handy! Once all the skeletons are strung on, space them out evenly. I hung mine up in my living room. I find it very sinister...and that's exactly what I wanted. It scares Peanut too. That's why she's hiding! Thanks, it is really easy but makes such an impact! That's very cute and easy. I'm off to the dollar store today anyways - I'll see what they still have in stock! 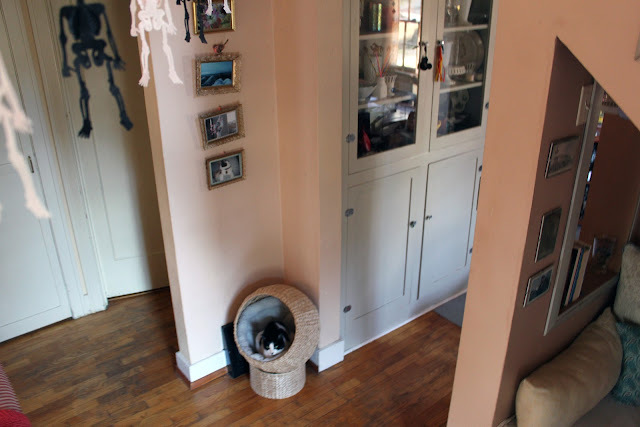 BTW - can I ask where you got your very cute cat house? I hope they're still fully stocked. I bought the cat pod at Costco a few months back!